Nadi is a metropolitan area in Fiji and is located on the island of Viti Levu. Known for a large number of hotels and religious places of some religions it is one of a kind. Nadi is also famous for Nadi International Airport because the people coming to visit Fiji land here. A lot of other tourists' attractions are there. The grand and majestic beauty of the island is so captivating that no one can avoid such beautiful scenes to be noticed. It is known for the transport and the tourists going to other parts of Fiji do not leave for other places before visiting Nadi's attractions. Siri Siva Subramanya Swami Temple is very famous for the construction and scenery around it. Large numbers of people belonging to the respective religion visit it. In fact, those who do not perform religious practices must visit it. Kula Eco Park is another beautiful spot in Nadi. A large diversity of plants and animals are seen here. A number of types of birds are kept here to attract tourists' attention. 'Gardens of Sleeping Giant' is a really beautiful and amazing serene spot to visit. Orchids, fountains and a lot of other fascinating things are available to visitors. Denarau Island has got a lot for you to see and enjoy. A tourist finds Nadi a perfect destination for them. 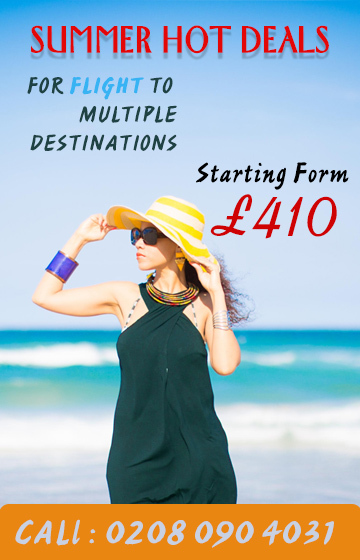 If there are cost concerns then Travelwideuk.co.uk is lessening your worries. You are now going to have a luxurious journey with our low-cost ticket for flights to Nadi.